Going by queries of media friends about how soldiers live on the Siachen glacier 32 years after India’s occupation of the Saltoro Range one is not surprised that some are so outwitted by the news of an avalanche striking Sonam post held by 19 Madras on 3 February that they suggest Indian Army (IA) should vacate the area, albeit without any inkling about the ground and its strategic significance. Incidentally, George Fernades was the only defence minister who took journalists with him on his numerous visits to the Siachen area, to bring awareness about the region, including its strategic significance and why India pre-empted Pakistani move to occupy the Saltoro Range. There are some who ask why the post was located at such place where such an avalanche could occur, again without knowing the ground realities. The post of Sonam where the avalanche occurred is an essential piece of ground which guards the approach to Bana Post (the highest on the Saltoro Range) from being cut off, Bana being the erstwhile Qaid-e-Azam post of Pakistan at a height of 6,500 metres (21,326 feet) that was captured by Indian troops in 1987 under the leadership of Honorary Captain Bana Singh who was later awarded the Param Vir Chakra. I write this piece when the whole country is praying for Lance Naik Hanumanthappa Koppad who remains in coma and on ventilator support, following a miraculous rescue effort that found him alive with a weak pulse, after being buried 25 feet under ice for six days. On February 8, Hanamanthappa was found in a fibre-reinforced hut that was buried deep in ice, saved because of an “air pocket”, where he had been trapped since February 3 when a wall of concrete-like ice came crashing down on the Sonam army post in Siachen, killing nine of his colleagues of the 19 Madras regiment. PTINehru Institute of Mountaineering team paying respects to Lance Naik Hanamanthappa at the Kedarnath temple on Thursday. Behind the endurance is a rigorous training regimen to prepare soldiers for life in the unforgiving terrain. Brigadier H.P.S. Bedi (retd) was commanding the 102 Brigade in 2003 when a company commander and a doctor serving in a post at 19,000 feet on the central Siachen glacier went on snow scooters to a post where someone was sick. But in between, the doctor went missing as he fell into a crevice. Till now, his body has not been found. 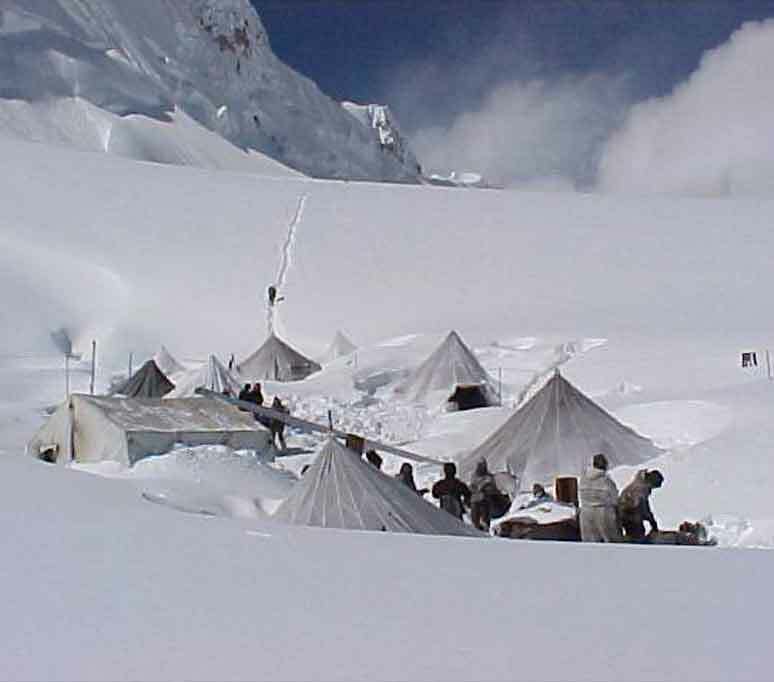 I vividly remember during one of the interaction Brig (then Col) Pushkar Chand Deputy Commandant HAWS telling us how he and his team set out to accomplish the assigned task to occupy Siachen Glacier (Saltoro Ridge) in 1984. He was given no time to prepare because it was a race against time and weather. The task force consisted of troops from Ladakh Scout, Kumaon Regiment and Special Frontier Force. Troops had very limited glacier clothing and old pattern extreme cold climate clothing (ECC) was issued to these men. The task was to occupy Saltoro Ridge before Pakistani Army could do so. Col Pushkara seasoned mountaineer and experienced soldier knew that every patrol had to be led by an officer; therefore, the existing strength of officers with the companies was inadequate. Volunteer young officers from Northern Command and from other commands were selected under High Risk Mission, because the enemy here was not only Pakistan Army but terrain and even extreme weather. The Nehruvian consensus was rudely shattered by an arriviste called Narendra Modi. The consensus had held firm for 67 years - from 1947 to 2014. What were its core principles? First, secularism. Second, socialism. Third, non-alignment. Fourth, dynasty. Just to make sure, Indira Gandhi injected the words “secularism” and “socialism” into the Constitution during the Emergency, without a trace of irony. Even through the six Vajpayee years, 1998- 2004, the consensus held. Its long duration nurtured an ecosystem composed of a curious amalgam: Marxist historians, Macaulay’s colonially-seduced bureaucrats, faux secular intellectuals, compromised journalists, and sycophantic politicians worshipping at the altar of the Nehru-Gandhi dynasty. These common threads formed the architecture of a secular, socialist democracy. Muslims were appeased, not empowered. They were kept in secular ghettos, paraded out every five years to vote for the Congress and its fairweather allies. Dalits were paid lip service. Like Muslims, they formed a rich vote catchment - however poverty-stricken they remained. Poverty and socialism went hand-in-hand. Maqbool Bhat a resident of Trehgam in Kupwara District of Kashmir was hanged to death in Tihar Jail on 11 Feb 1984 on charges of committing a double murder. 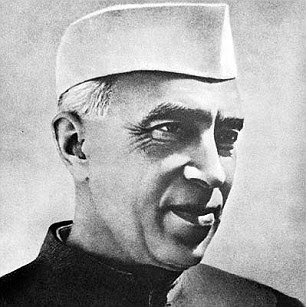 Bhat entered the political arena of Kashmir with an ideology of Jammu and Kashmir existing as an independent state. To further his political agenda he founded the Jammu Kashmir Liberation Front (JKLF) along with his friend, Hashim Qureshi and others. Being young and impressionable, he came under the devious spell of Pakistan. He and his friends generated anti-India propaganda and committed a number of crimes, including hijacking and murder. They were too young to realise that Pakistan had no love lost for Kashmir or its people; its objective was to use the state as a tool to disintegrate India and seize its rivers. 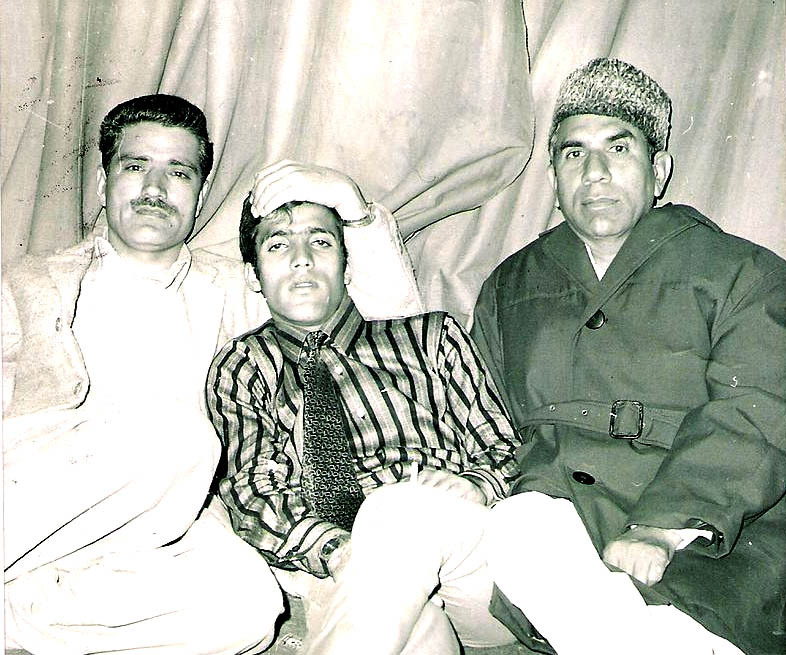 As Maqbool Bhat spoke more and more about an independent Kashmir, free from both India and Pakistan, he became persona non grata for the Pakistani military establishment. He publicly stated that the military rulers of Pakistan had never supported the peoples’ armed struggle in Kashmir for which reason he and his comrades became the target of brutal torture and humiliation. He was forced to flee from Pakistan Occupied Kashmir (POK) back to Jammu and Kashmir where he was arrested for his crimes, tried as per law and sentenced to death. Asian nations could unite and resolve South, East China Sea conflicts – showing they don’t need US as enforcer. Having moved at a snail’s pace for years, the international dispute over control of the South China Sea is reaching a new stage. The United States military is openly challenging China’s claim of some 90 percent of this 3.5 million square kilometer global trade route. Both governments have warned of the risk of miscalculation, creating a specter of South East Asia returning to its role of half a century ago when it was combative arena for super-power rivalry. The unpredictability of the American presidential election now heightens the risk because inevitably it will come with ramped-up anti-China campaign rhetoric. This begs the question as to whether it would be better for the East Asian region to sort out the dispute itself and ask the United States to step back. Opposition to that concept within the United States itself comes from the criticism and perceived failure of President Barack Obama’s non-interventionist brand of foreign policy. But the testing ground for this has been in the Middle East where neither intervention nor holding back has worked well. TENERIFE, SPAIN – Kaspersky Security Analyst Summit 2016 – Cyber espionage attacks by Chinese advanced persistent threat groups against Russian targets have increased by 300 percent in the past two months, according to a top security expert with Kaspersky Lab. Costin Raiu, director of the global research and analysis team at Kaspersky Lab, says his firm’s researchers witnessed a dramatic drop in Chinese-speaking APTs going after US and UK organizations’ intellectual property in September after President Obama and Chinese president Xi Jinping came to a historic agreement not to conduct cyber spying attacks for economic gain. Kaspersky Lab refrains from confirming the actual actors behind advanced groups such as nation-states, so it refers to these attackers as “Chinese-speaking” cyber espionage groups. “Immediately after the signing of the agreement, there was silence” in attacks against the US, Raiu said in an interview with Dark Reading. “Then there were some small bits and pieces of random noise … but after that, they [Chinese-speaking APTs] completely went silent in the US and UK,” Raiu said, referring to Xi’s similar no-hack deal in October with Prime Minister Cameron in the UK. Oil prices hit new lows in January, but the world's biggest producers still can't seem to agree on how to respond. Venezuelan Oil Minister Eulogio del Pino returned home empty-handed after concluding on Feb. 7 a week of visits to major oil-exporting countries. His aim was to organize an emergency meeting between OPEC members and non-OPEC states. The topic they would have discussed, had del Pino been successful, would have been how to coordinate a cut in global oil production. But his failure shows that a bloc of OPEC's key Gulf members - namely Saudi Arabia, Kuwait, Qatar and the United Arab Emirates - is resisting the pleas of other producers to intervene in the market on their behalf. Since November 2014, Saudi Arabia and its allies have made it clear that they prefer to let the market correct itself. In the meantime, they are not willing to unilaterally slash production without other important producers, including Russia, Iran and Iraq, agreeing to do so as well. Of course, pragmatic cooperation among the world's oil exporters becomes more appealing as oil prices sink and financial crises deepen. However, a substantial production agreement - and one that is actually enforced - will probably remain elusive as geopolitical impediments and fundamental disputes among Saudi Arabia, its allies and other oil-producing countries persist. And with no cohesive bloc at its helm, the global oil market will be at the mercy of market forces, promising further price volatility and uncertainty. Gen. Igor Sergun, head of the agency, died of heart failure on January 3. He led an organization stranded in limbobetween its old name, the Main Intelligence Directorate (GRU: Glavnoe ravzedyvatel’noe upravlenie), and the ambiguous alternative, the Main Directorate (GU). Recent gains by the Assad regime in its ongoing northern offensive — in particular, the recapture of the Shiite towns of Nubl and Zahra — pose asignificant geostrategic threat to Turkey and the opposition groups based in and around Azaz. The regime and its allies are now in a favorable position to cut the lines of communication between the Turkish border areas and the rebel-held city of Aleppo. Such an outcome now seems inevitable given major Russian and Iranian support for regime forces. As a matter of fact, the regime, backed by the Russian air-ground campaign, has been successfully advancing towards the Turkish frontier areas at the time of writing. In this regard, it should be noted that the Russian air force detachment in Syria enjoys high sortie rates as a result of Hmeymim Airbase’s proximity and an effective sortie-to-strike ratio stemming from good intelligence preparation of the battlefield (IPB). An expansion of Russian military advisors on the ground has enabled efficient coordination between close air support platforms and advancing Syrian Arab Army units, while the elite Iranian Quds Forces and Lebanese Hezbollah drive forward fueled by sectarianism and experience in hybrid conflicts. Director of National Intelligence James R. Clapper’s Statement for the Record: Worldwide Threat Assessment of the US Intelligence Community for the Senate Armed Services Committee. Thanks to modern science and technology, the treasury of human material as well as intellectual and cultural wealth is overflowing. Enormous quantities of information are exchanged today at lightning speed, and incredible numbers of people separated by great distances are in constant touch with one another. Two contrasts characterise this world: on the one hand, disparities are growing in material wealth, and on the other, there is growing equality in access to informational and cultural resources. The inequities in material wealth has accelerated the rate of degradation of the natural world, but at the same time progressive laws flowing from equality in intellectual wealth are helping people combat the degradation. This is one reason why, as much as ever, a well-informed citizenry is the lifeblood of social progress. Ensuring that citizens have ready access to reliable information is the prime responsibility of all of us, including obviously of our governments. United States intelligence believes that Georgia could reverse its strategic orientation toward the West under Russian pressure, the country’s top intelligence official has said. The rocket launched by North Korea at the weekend seemed more powerful than its 2012 predecessor, but Pyongyang still lacks the expertise to transform it into a ballistic missile capable of reaching the US mainland, South Korean officials said Tuesday. The comments came as leaders of South Korea, the United States and Japan discussed how to punish the North for its latest defiant launch and nuclear test, eyeing "strong and effective" UN sanctions. 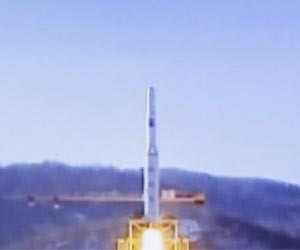 The rocket, carrying an Earth observation satellite, blasted off on Sunday morning and, according to North Korean state TV, achieved orbit within 10 minutes. It sparked strong international condemnations and resulted in an agreement at the UN Security Council to move quickly to impose new sanctions. The Pentagon said it wanted to send a sophisticated missile defence system to South Korea and that the two sides would start formal discussions on placing the Terminal High Altitude Area Defense System (THAAD) on the North's doorstep. President Barack Obama speaks at the White House Summit on Cybersecurity and Consumer Protection at Stanford University in Palo Alto on February 13, 2015. The White House's Cybersecurity National Action Plan (CNAP) unveiled today to fortify America's digital defenses is the latest effort to protect Americans, government agencies and companies against the growing number of cyberattacks aimed at everything from national defense and health care to personal consumer data. It's not surprising that Obama has a request to Congress to boost cybersecurity spending to $19 billion for fiscal year 2017, a 35 percent increase over this fiscal year. The White House also wants to launch a $3.1 billion Information Technology Modernization Fund to retire and replace aging systems in the federal government. To oversee all initiatives, President Obama plans to create a federal chief information officer who would coordinate cybersecurity practices across agencies. In the future, many of the most effective weapons used against the U.S. military are likely to be unseen: electromagnetic waves that disrupt radios or jam global positioning systems, paralyzing units. This realm of fighting is called electronic warfare, and since the 9/11 attacks it’s been relegated to a lower priority than fighting insurgent groups with precision guided munitions and drones. Now, defense officials say they’re worried that the U.S. military’s ability to counter and wage electronic warfare has atrophied and is lagging behind countries such as Russia and China. One place where the United States’ adversaries have displayed their proficiency in electronic warfare is in eastern Ukraine, where the Pentagon has watched Russian forces with a wary eye, gleaning what they can from the country’s reinvigorated military. The U.S. National Security Agency on Monday outlined a reorganization that will consolidate its spying and domestic cyber-security operations, despite recommendations by a presidential panel that the agency focus solely on espionage. The NSA said the reorganization, known as “NSA21,” or NSA in the 21st century, will take two years to complete, well into the first term of whoever is elected president in November. A review board appointed by President Barack Obama recommended in December 2013 that the NSA concentrate solely on foreign intelligence gathering. The board’s recommendations came as the United States was reeling from disclosures from former NSA contractor Edward Snowden about the collection of vast amounts of domestic and international communications data. Under the board’s plan, a separate agency would have been housed within the Department of Defense with responsibility for enhancing the security of government networks and assisting corporate computer systems. The $19-billion increase in cybersecurity funding across all government agencies — up more than from 35 percent from last year — is entitled the “Cybersecurity National Action Plan” and is an effort touted by the White House as the “capstone” of seven years of often faltering attempts to build a cohesive, broad federal cybersecurity response. Measures include more cybersecurity training for the private sector, emphasizing multi-factor authentication on tax data and government benefits and efforts to reduce the use of Social Security numbers as identifiers. The report gets many important things right. It validates the essential role played by the Army Guard and Reserve and suggests they be used more routinely for predictable overseas deployments. It rightly attacks the wide range of budgetary and management challenges that stand in the way of fully utilizing the Guard and Reserve. It recommends changing authorities to facilitate current-year funding so the reserve components can be accessed with shorter notice, and it argues for more training and readiness dollars. It wisely suggests unifying the separate personnel systems maintained by each of the three components. Perhaps most strikingly, it recommends keeping some Apache attack helicopters in the National Guard, effectively reversing the last Army chief of staff’s ill-advised decision to putall of this key combat capability in the active force. Recent months have seen a growing urgency surrounding negotiations to resolve the Libyan civil war and form a unity government between the House of Representatives (HoR), the nationalist-leaning and internationally recognized parliament based in Tobruk, and the General National Congress (GNC), the Islamist-leaning parliament based in Tripoli. The urgency is fueled by U.S. and European fears that Libya is emerging as the most dangerous home to the self-proclaimed Islamic State outside of Syria and Iraq, a concern illustrated by President Obama’s recent direction to the National Security Council to provide him with options for confronting the group’s rise in Libya. Over the past year, the Islamic State has expanded its presence over areas of central Libya in fighting against HoR- and GNC-aligned forces. Its fighters have launched audacious attacks against the country’s largest oil terminals and staged suicide bombings across the country. Libya is also a key departure point for migrants heading to Europe and policymakers in Brussels hope ending the conflict can help to stem the human tide.